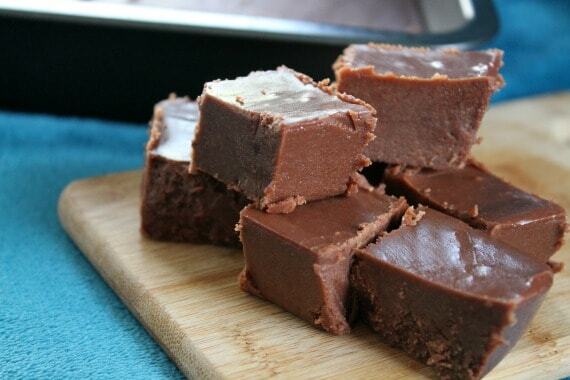 When I made my mom’s peanut butter fudge last year, it was perfection. I literally could not stop eating it. It instantly transported me to every Christmas I spent with my mom. I later learned that both the peanut butter and the chocolate fudge recipes my mom used have actually been in my family for four generations now. I love the way food can instantly connect you to the past. My nerd heart is all aflutter. 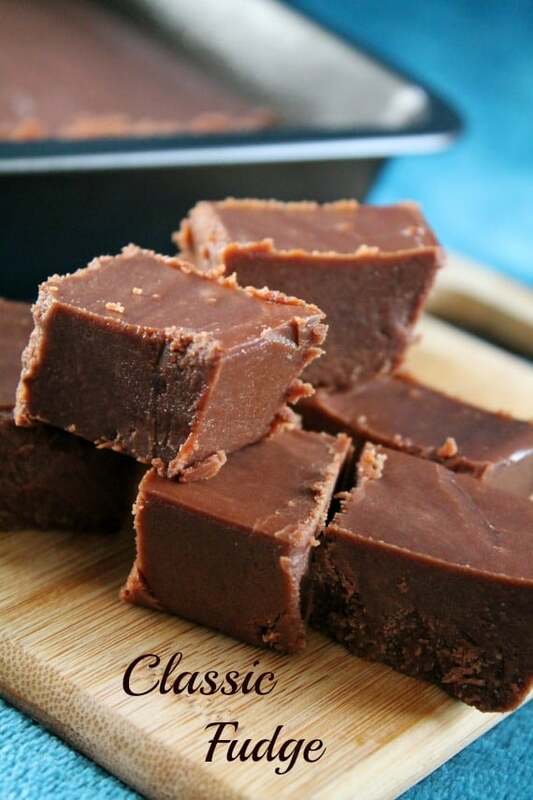 And since the interwebs told me that today is National Fudge Day, and since my mom’s chocolate fudge is almost as awesome as my mom’s peanut butter fudge, which means it’s outrageously awesome, I made you classic chocolate fudge. I have a feeling you’ll love it. It’s straight up chocolate indulgence, like one of those ridiculous chocolate commercials where you reach a state of pure bliss from one bite. That’s real, kids. Making this recipe does take a bit of attention. Be sure to use a big pot, as the heated sugar mixture will expand significantly as it boils. You also have to stir constantly. If I learned one thing about fudge making from my mom, it’s that you never ever ever stop stirring. Kid cut his arm off? Don’t stop stirring the fudge. House is burning down? Never stop stirring the fudge. There’s probably a scientific reason. I just do it because Mom said so. It works. I love keeping people close to me by cooking their recipes. It’s a very tangible and delicious connection. What are your favorite family recipes? When was the last time you made one? What are you waiting for? 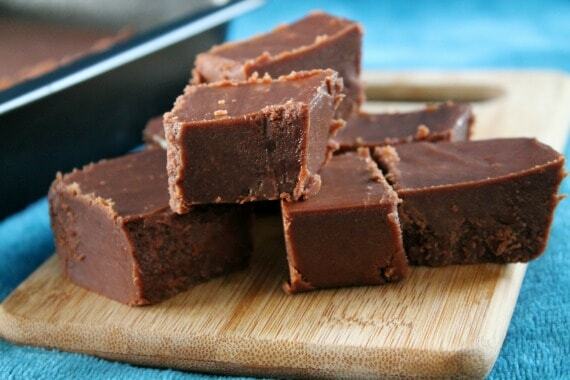 Classic fudge that leads directly to pure bliss. It's important to have everything ready once you turn on your heat, so measure out our chocolate, butter, and vanilla in a bowl and set aside. Spray an 8x8 baking pan with non-stick spray. Add sugar, marshmallows, and evaporated milk to a large sauce pan. Turn the heat under the pan to medium high and start stirring. Keep stirring until the mixture starts to boil. Once you reach a boil, continue to cook and stir for 8 minutes. Whatever you do, don't stop stirring. When 8 minutes is up, remove the pot from the heat, but don't stop stirring. Either grow a third arm or get a helper to carefully add the chocolate, butter, and vanilla to the boiling sugar mixture. Be careful. You do NOT want to get this molten mixture on your skin. Keep stirring until everything is melted and blended. Pour the mixture immediately into the waiting baking pan and refrigerate for several hours or overnight to set. Cut into small pieces and try really hard not to eat every last bit. My cryptic family recipe calls for one can (5.3 ounces) evaporated milk. My grocery store only had 12 ounces cans. I don't know if they make this size anymore, but you can always just weigh it with your kitchen scale or use a touch more than 5/8 of a cup. Hi there! When you say “large” marshmallows, do you mean the standard size, or the jumbo? Thanks! Hi, Amber. When I originally wrote this post, they weren’t making those marshmallows the size of your fist. So yea, standard size marshmallows, not the mini ones. Hope the fudge turns out great.